With modern quilters like Brittany Lloyd of Lo & Behold Stitchery, Caitlin Topham of Salty Oat and Kristy Lea of Quiet Play Designs paving the way for a new generation of quilters, it’s safe to say these are not your Grandmother’s quilts. 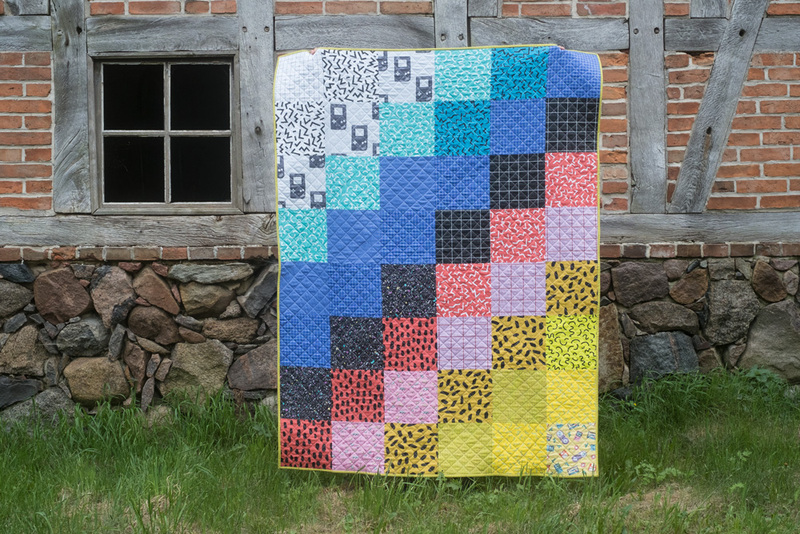 Using features like the Fill-a-Yard™ cheater quilt template to jumpstart your quilting project or bold and bright designs from the Marketplace, it’s now easier than ever to completely customize your quilt. Today, Swiss designer and quilt maker Yara Greuter will show you how to make a totally gnarly quilt using the 2 -yard cheater quilt Fill-a-Yard template. Pull up your leg warmers, tease out your hair and get ready for this beginner-friendly tutorial!